-April 28, 7pm, Shawnee 18 Theaters, 16301 Midland Drive, Shawnee, KS. Film and panel discussion, FREE. 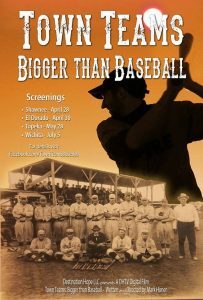 -April 30, 7pm, Central Cinema 7, 300 East Central, El Dorado, KS. Film and panel discussion, $20 (proceeds go to the YMCA and the Kansas Oil Museum).